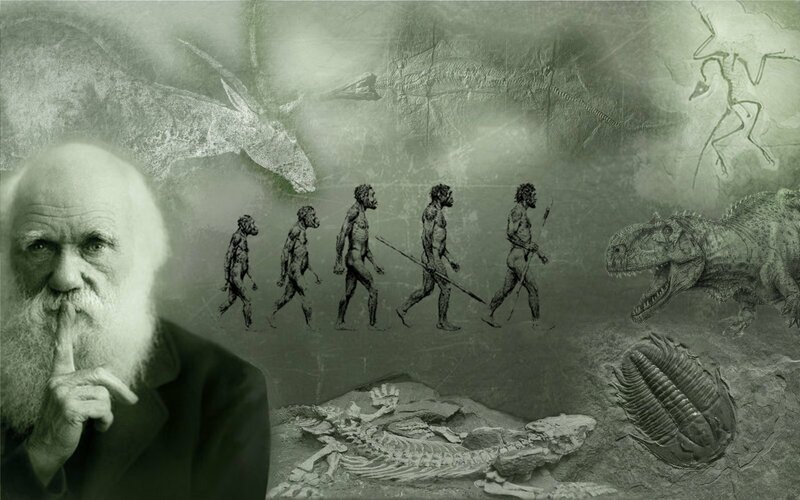 Hang around a few evolutionary biologists sometime. I did last week on the Tubes and Wires. You will come across an interesting phrase: “late-life mortality plateau.” This refers to a phenomenon observed most famously in little old ladies and fruit flies, both of whom seem to have no respect for Gompertz’ Law. Benjamin Gompertz was a British actuary; the law he formulated in 1825 was that mortality increases exponentially with age. Duh. The older you get, the more likely you are to die. Between the ages of 30 and 80, on average, this appears to be true. Every eight years, your chances of dying double. The little old ladies who confounded Gompertz appear in 1939 in an obscure article published in the journal Human Biology. British statisticians Major Greenwood and J.O. Irwin were studying mortality figures in the town of Manchester. 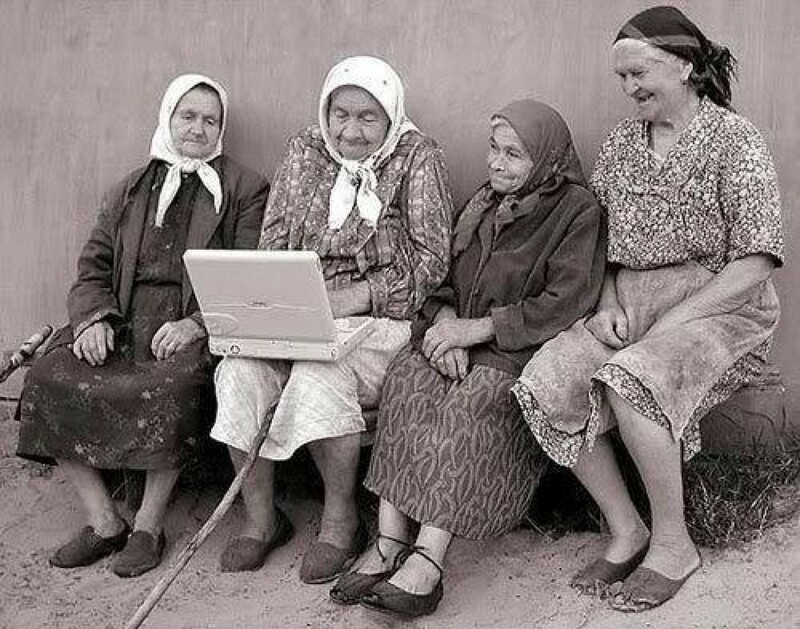 When they got to women in their 90’s, what they discovered stunned them. It turned out 99 year old women were no more likely to die than those who were 93. The probability of death did not rise uniformly with age. Instead, at a certain point late in life, it came to a complete stop. They didn’t know if the same thing would hold true for men. There were not enough men who died in their 90s to study. Nobody knew what to do with this data, so it was largely ignored. It wasn’t until 1992 that two Jims, one at the University of California at Davis and the other at the University of Minnesota, studied aging and mortality rates in the lab. Fruit flies are great for this. Their life cycle is short – 40 to 50 days. They reproduce like crazy. Many generations can be studied in a short span of time. So the Jims Redux kept thousands of flies in rigorously controlled conditions and scrupulously recorded each death. (Well. Their graduate students did.) At first, the mortality rate increased exponentially, just as Gompertz predicted. But after a few weeks, what happened with the little old ladies also happened with the fruit flies. Death rates plateaued. Drosophilia Melanogaster. 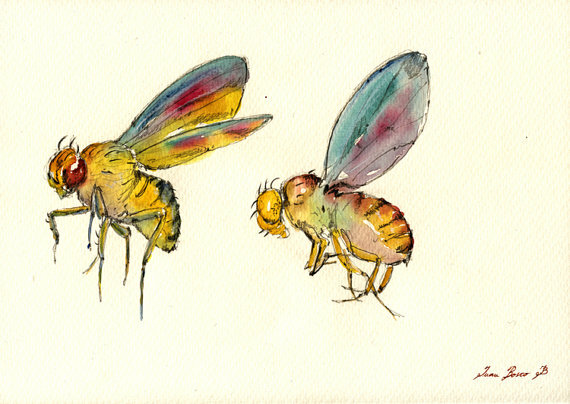 The common fruit fly, made uncommon by Juan Bosco of San Martin ArtsCrafts. You can buy his work on Etsy. Fruit flies have a relatively brief period of aging followed by a long plateau (well, long for them) when aging stops. You see this in other creatures, too: creatures who, unlike fruit flies, are known for their longevity, like tortoises. Tortoises’ ability to reproduce doesn’t decline with age, nor does their ability to function diminish. This quality is known as “negligible senescence.” There ought to be an award for coming up with a phrase like that. What there is instead is a whole foundation dedicated to Scientifically Engineered Negligible Senescence, or SENS. Rejuvenation biotechnologies. Because human beings seldom reach the late-life mortality plateau in good enough shape to enjoy it. The little old lady who dwelt the longest, and with the most panache, on the late-life mortality plateau was the Frenchwoman Jeanne Calment. She was born in 1875 in Arles and died in 1997 at the age of 122. At 12 or 13, working in her father’s shop, she sold Vincent Van Gogh his paints. She married her cousin, Fernand Nicolas Calment, a prosperous store owner, when she was twenty-one and he was thirty-two. Her only daughter died of pneumonia in 1926. In 1942, she and her husband ate a dessert made with spoiled cherry preserves. She survived the experience; her husband did not. The grandson she raised after her daughter’s death grew up to be a doctor, but died in a car accident in 1960. An interview in which Jeanne Calment speaks of Van Gogh. My French is rusty – can you help? Is she really saying Van Gogh frequented brothels because it was cheaper than getting a bed for the night? At ninety, with no one to leave property to, she sold her apartment to a middle-aged lawyer on a contingency contract. Andre-Francois Raffray was to pay her 2500 francs a month (now about $400) until she died; then the apartment would become his. He died in his late seventies, a year before Calment. Over the life of the contract he paid her more than twice the apartment’s market value. ”In life, one sometimes makes bad deals,” she observed. The French enjoy speculating on what gave Jeanne Calment her remarkable constitution. 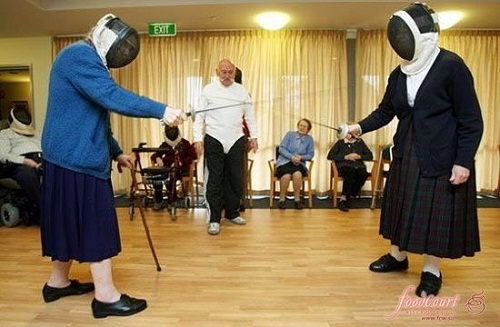 I’m guessing she’s not the one with the cane. Via Beauty will Save, which boasts many lovely pictures of Jeanne throughout her life. At 110, she entered a nursing home, after a small fire in her kitchen convinced her she could no longer live alone. The food was boring, but what could you do. She was ambulatory until the age of 115, when she fell and fractured two bones. Her memory began to fail at that point. But not her wit. By the time she turned 122, Jeanne Calment, “Jeanne d’Arles,” was blind and so hard of hearing that it was difficult to communicate with her. She is said to have died of natural causes. Usually that means old age. I think she might just have tired of the menu. 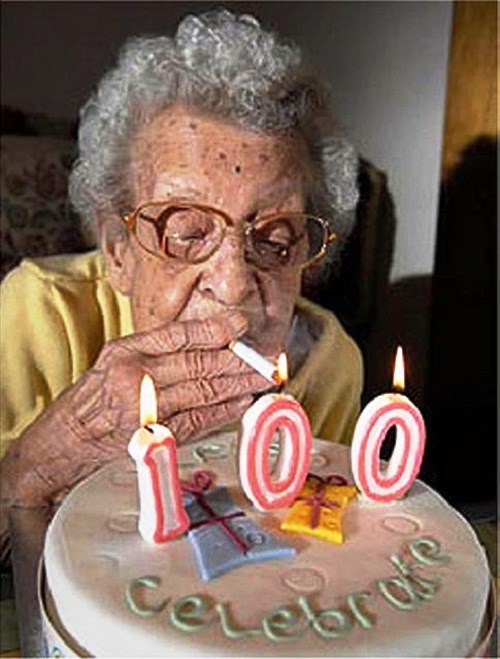 Jeanne at 100. One of the few cakes that was not chocolate. What a fascinating story about ageing! Of course, living in France, I was familiar with Jeanne Calment, who was our ‘doyenne’ until recently, but have never actually listened to her interviewed before. The section you question mentions that he frequented brothels but ‘not for the women, nor the mistresses that he paid too dearly’. No clear answer to your question, I’m afraid. Aha! Merci, M.E. I believe I was confusing mistresses and matresses. It seems as well that she is talking here about working in her husband’s shop, not her father’s shop; but all the sources I READ say she met Van Gogh at 12 or 13. At 12 or 13 I was starting my study of French, but clearly I do not have the powers of retention of your doyenne. I love posts featuring fruit flies (the feature prominently in my writing) and feisty old ladies. I want to be her when I grow up. Your “mostly think” seems mostly best, Judi. And yes, she does seem to have led an interesting life. I did find it curious that what is left out of the accounts I could read in English was anything relevant to the Vichy government, the rounding up of Jews by French collaborators, or the bombing of Arles by the Western Allies during the second World War. Clearly she lived through that too. My grandma lived through the depression and World War II, but she never wanted to talk about it. Maybe it was just too depressing? I love this post! Such an interesting topic. One of my first jobs after high school was raising fruit flies for genetics experiments. Hard-working little servants to science. I enjoyed the science and Jeanne Calment’s story too. Your point about the role that luck plays in longevity, too. There’s an interesting attempt underway to study the role of luck in life events. I’m not sure the researchers have applied that to death yet! Thanks for posting. A well-told tale, Paula. I know a little too much about mortality plateaus. Vic’s mom is 100. It seems she plans to outlast me. Take care of yourself, Elaine. Even if my father did not believe me when I told him 70% of all caregivers over the age of 70 die before the people they are caring for, caregiver syndrome – in any age bracket – is quite real. I wish I could post this to Facebook! Petey, it’s already on FB… just go to my page and you can share it from there. And thank you.